Sixth-placed Dortmund head to resurgent Bremen in 2017 opener for both sides. 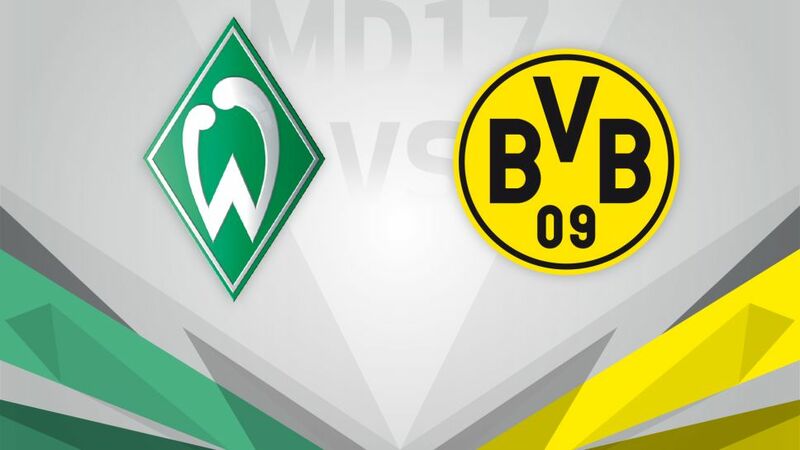 Borussia Dortmund travel north to SV Werder Bremen on Saturday hoping to kick off the New Year with a return to winning ways (kick-off 15:30CET/14:30GMT). Get your Official Fantasy Bundesliga team in shape before the unlimited transfer window closes! Despite being unbeaten in their last five league games, picking up nine of a possible 15 points, Werder still sit precariously above the drop zone with just three points separating them and northern rivals Hamburger SV in 16th. Alexander Nouri's charges now face the unenviable task of hosting both Dortmund, who have won nine out of the last ten meetings between the two sides, and league leaders FC Bayern München at the Weserstadion in their opening two games following the winter hiatus. BVB went into the winter break on the back of three consecutive draws, a run of results that leaves them 12 points adrift of Bayern coming into the final game of the Hinrunde. With Pierre Emerick Aubameyang on duty with host nation Gabon at the Africa Cup of Nations head coach Thomas Tuchel has plenty of options at his disposal. Dortmund have not lost their opening game of a calendar year since 2004 and three points on Saturday would go a long way to getting them back on track as they look to climb into the top four. Click right here to download the Official Bundesliga App for free! Dortmund have won just seven of their 16 league games this season. BVB are doing well up front (35 goals), but not at the back (19 conceded, just three clean sheets).Borussia had 38 points at the halfway point of last season, but can only achieve a maximum of 30 this campaign.BVB fell behind in each of their last seven competitive games before the winter break, but lost just once.Werder are unbeaten in five games – only Hoffenheim are on a longer run.Dortmund have not lost the first Bundesliga game of a new year since 2004 (W8 D4).Dortmund have won nine of their last ten Bundesliga games against Werder Bremen.Serge Gnabry has scored in seven games, but Werder are yet to win one in which he’s found the net.Roman Weidenfeller is yet to keep a clean sheet in his six Bundesliga appearances this season, conceding ten goals. Click here for the latest news from Borussia Dortmund!